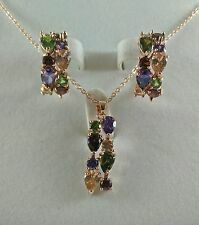 Indian Fashion Jewelry Bollywood Gold Plated Multicolor CZ Necklace Earring Sets. Main Stone: CZ. Bridal Fashion Jewelry. Necklace Length : 32 cms. Content : 1 Necklace, 2 Earrings. Perfect for Gifting. Indian Fashion Jewelry Bridal Wedding Kundan Crystal Necklace Earrings Sets. ( OJ 124 ). Bridal Fashion Jewelry. Earring Length : 4 cms. Content : 1 Necklace, 2 Earrings, 1 Maang Tikka. Necklace Length : 30 cms Drawsting. Browse and enjoy our collection. Our mission is to provide high quality products at honest prices. Indian Fashion Jewelry Wedding Bridal Kundan Crystal Pearl Necklace Earrings Set. Bridal Fashion Jewelry. Earring Length : 4 cms. Content : 1 Necklace, 2 Earrings, 1 Ring. Main Stone : CZ, Crystal. Necklace Length : 30 cms. Our team will be glad to assist you and give you easy and fast solutions. We surely can 100% resolve of your problems that you have to concerns. If you are satisfied with our product and service. We are available 24x7. Maang Tikka Length : 12 cms chain. Content : 1 Necklace, 2 Earrings, 1 Maang Tikka. 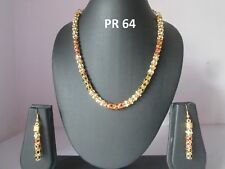 Indian Fashion Jewelry Wedding Bridal Kundan Crystal Necklace Earring Set. Bridal Fashion Jewelry. Earring Length : 8 cms. Indian Fashion Jewelry Bridal Wedding Kundan Crystal Necklace Earrings Sets. ( OJ 217 ). Bridal Fashion Jewelry. Earring Length : 6.5 cms. Content : 1 Necklace, 2 Earrings, 1 Maang Tikka. Necklace Length : 32 cms Drawsting. Qty 1 set (including 1 necklace 1 pair earrings ) Item Condition 100% brand new from factory Material 18k white copper plated Alloy AAA Natural Zircon Size of the jewlery See the pictures show Suitable age All Occasion Wedding, engagement, party, anniversary, banquet, daily Packing Opp bag bubble envelope gift box Unit Conversion 1 inch=25.4 mm, 1 mm=0.04 inch. This delicate freshwater pearl necklace is a real classic. Pearl type: Freshwater. The earrings are finely crafted of sterling silver and finished with a high polish shine. Pendant Material: 925 Stamped Sterling Silver. Indian Fashion Jewelry Wedding Bollywood Kundan Pearl CZ Necklace Earrings Sets. Main Stone: Beads, Kundan. Choker Width : 18 cms Drawstring. Content : 1 Choker, 2 Earrings, 1 Maang Tikka. Bridal Fashion Jewelry. 1 pcs Bracelet and 1 pcs necklace like the picture. Note: Only the key can open the bracelet. Material: 316 Stainless Steel. The Tear Decó drop earring and necklace set are a stunning, eye-catching addition to any jewellery collection. Each AAA cubic zirconia is encased in a 18ct rose gold plated setting. Necklace drapes off a 50cm chain, adjustable to 45cm. Indian Fashion Jewelry Wedding Bridal Pearl CZ Necklace Earrings Set. Bridal Fashion Jewelry. Earring Length : 3 cm. Necklace Length : 22 cms. Content : 1 Necklace, 2 Earrings. Main Stone: CZ. Addition Information. Our team will be glad to assist you and give you easy and fast solutions. We surely can 100% resolve of your problems that you have to concerns. If you are satisfied with our product and service. Our team will be glad to assist you and give you easy and fast solutions. If you are satisfied with our product and service. We surely can 100% resolve of your problems that you have to concerns. PERFECT GIFT FOR ANY OCCASION: This is a gorgeous and beautiful Pendant Necklace is perfect for a female of any age. Pear 18k Fashion. The Tear Decó drop earring and necklace set are a stunning, eye-catching addition to any jewellery collection. 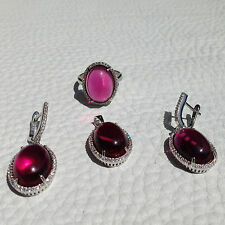 Each AAA cubic zirconia is encased in a white Rhodium plated setting.